Artificial intelligence. It’s a complex and difficult concept to comprehend. Want to make it even more complicated? Then consider what might be involved in applying AI to spectacle lens design. 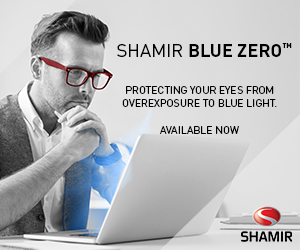 That’s exactly what Shamir Insight did in the creation of the new Shamir Autograph Intelligence™ progressive lens. So, sit back and enjoy this high-tech tale of how Shamir combined today’s cutting-edge technologies, along with Big Data and artificial intelligence, to create its most intelligent and innovative design to date. Though you’re never supposed to give away the ending of a good story—and this is a great one—we’re going to tell this tale backwards. The product, Shamir Autograph Intelligence™, was launched last fall. The surprise ending? It’s not one “product” at all. It’s 12 different and unique design concepts. Those dozen designs were created to fit the visual needs of each and every presbyopic Visual Age. Those ages are based not just on chronological age, but on the physiological age of the eye. The technologies employed to do all this? The short story is that the three new breakthrough technologies employed in the Shamir Autograph Intelligence™ are Eye-Point Technology AI™, Continuous Design Technology™, and Visual AI Engine™. Each is a story in itself, and we’ll be expanding on each of these in detail next month in The Vitamin See. Don’t miss it! The “one design” concept didn’t make sense to Shamir. Patients’ needs are diverse, so how can one-size-fits-all work for them in a progressive lens? Shamir’s conclusion? It can’t. The next step in developing a lens that can adapt to diverse patient needs, was an extensive research project using methods of Big Data and elements of artificial intelligence. This proprietary research revealed a correlation between patients’ visual needs and their Visual Age™–that is, the physiological age of the eye (the required addition), which is generally correlated with the patient’s chronological age. Some of the visual and chronological age differences as found in the research? Younger presbyopes want to focus on their devices whereas “moderate” presbyopes spend a lot of time at all distances. Seniors, however, don’t care as much about intermediate as they do near and far. Shamir recognized, and researched, those distinct differences. And the result is 12 different designs. While the Shamir Autograph Intelligence™ backstory is different than anything you’ve read before, Shamir’s dedicated microsite, www.autographintelligence.com, makes the product and its cutting-edge technology easy to understand. And easy to recommend to patients whose visual ranges run the presbyopic gamut. Check the site out yourself and share the information with everyone on your team. 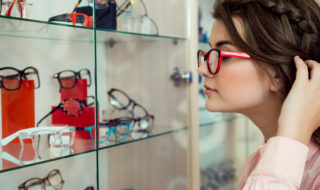 From front-of-the-house dispensing staff to back-of-the-house lab personnel, they should all hear the story about, and benefits of, this exciting new approach to progressive lenses. Have you tried the Shamir Autograph Intelligence™ yet? If so, please tell us about your experience + how you present it to patients. We hope you’ll share in this conversation on Facebook here.